In today’s online world of search engines, Google has long been reigning king. (You know you’ve made it in the world if your brand name has become recognized as a verb by Merriam-Webster.) As a web writer, this has implications for you — how your articles are ranked by Google affects where they land in search engine results, and ultimately determines how many views your pieces receive. One thing to bear in mind as an online writer is that Google is regularly updating their search algorithms to make sure that the most relevant, credible, valuable content appears at the top. You may have heard of Panda, one such algorithm update Google introduced in 2011. This is only one of many updates Google has made that affects your ranking in search results. However, there are certain things you can do to help improve your own search engine ranking. You may or may not already have a Google+ account. If you don’t, it is strongly suggested that you register for one. Because Google+ is Google’s very own social media platform, the links shared on Google+ are more highly valued by Google search results. Additionally, the more that your followers +1 a link that you share, the more highly that link is valued in Google’s search engine. Ergo, if you share a link on Google+, Google will reward you by not only having it appear higher in your search results, but having it appear higher in the search results of your followers. 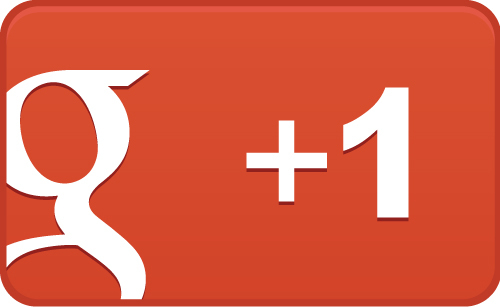 So network on Google+; gather followers, post and share regularly. Get your followers to +1 your content. Your Google+ profile is the foundation of Google’s authorship feature, which Helium Publishing platforms are now set up for. It will increase your visibility, credibility, and help your online reputation tremendously. Google favors authority of the author as well as, of course, quality of content, so you may find that you’ll need to accrue enough of a track record before you start seeing authorship results in Google. And for added traction, consider spending some time optimizing your Google+ to your best advantage. Also, check out Google+ Ripples to track how your content is being shared! Although on Helium Network you can write to any subject matter, we strongly recommend that you stick to a certain subject area where you’re comfortable and knowledgeable. There are strong SEO benefits to choosing a niche and sticking with it. When you write a lot about one particular subject, Google will begin to recognize you as an authority on that subject. Your articles about that topic then become more valuable in Google’s eyes. Think about it this way: When you’re buying groceries, would you rather pick up a head of lettuce at the corner convenient store that also sells gasoline and hacky sacks? Or would you prefer to purchase from a produce vendor? Google looks at it the same way. The quality stuff comes from the people who specialize in that area. Become an authority on your subject and Google will rank those articles more highly. This isn’t just true for Helium Network; your Google rank is yours to own. It travels with you in your pocket to every platform with your name on it. In other words, if you want Google as your ally, find your passion and focus on it – not just with Helium Network, but across the web. And don’t forget: Since more views equals more revenue, keep writing engaging, quality content. In case you haven’t seen these, you might check out the video tutorials for tips on making articles web-friendly and search-friendly. We’re here to help. If you have any questions, feel free to be in touch by emailing us at help@heliumnetwork.com. I asked this in one of the posts where Google+ is mentioned, but I might have better luck here. How long does it take for the Google Authorship thing to go into effect? I put my Google+ profile link into the field under “professional” well over a month ago, I made sure I am using the same face shot in both Helium and Google+ but when I find some of my articles on Google I can’t see that little author photo and byline. You’ll find links in this blog post to further info on optimizing your Google+ profile/presence that you might find helpful as well. Google favors authors with established authority — as well as, of course, quality of content — so you may need to accrue enough of a track record before you start seeing authorship results in Google.